Buying a heavy bag for my home gym was one of the best decisions I’ve ever made. 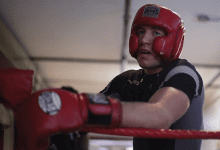 Shortly after setting my heavy bag up at home, I had my eyes locked on another target – the speed bag. My only dilemma was that I didn’t have anywhere suitable to mount a speed bag platform at home (I rent my accommodation), therefore I needed to look for a free standing option. 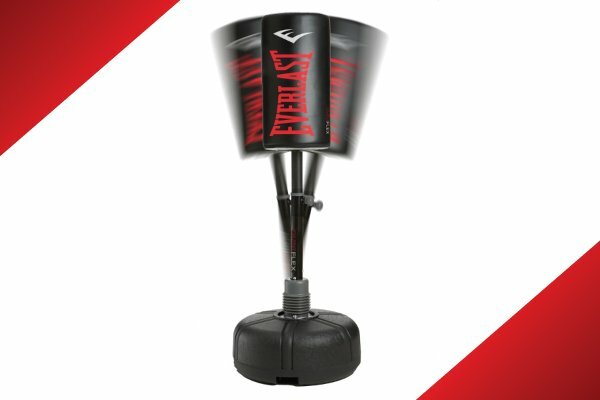 As if the stars aligned, I came across the Everlast Dual Station Heavy Bag stand, which allows for both a speed bag and a heavy bag to be mounted to one stand. Throughout my Everlast dual station heavy bag stand review, I’ll be discussing how I’ve found the set up, what I like, don’t like and whether or not I’d recommend it. 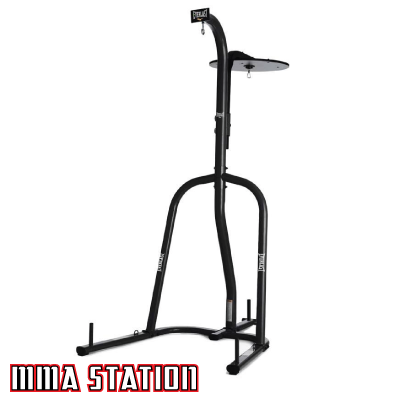 It’s also worth noting that the station comes in a few different bundles, so with that in mind I’ll be discussing the bundle that I purchased, which includes the stand, a heavy bag and a speed bag. If you already have a heavy bag and speed bag, you can buy the stand on its’ own, which is significantly cheaper. Ok, enough chit chat, lets’ get to the review. 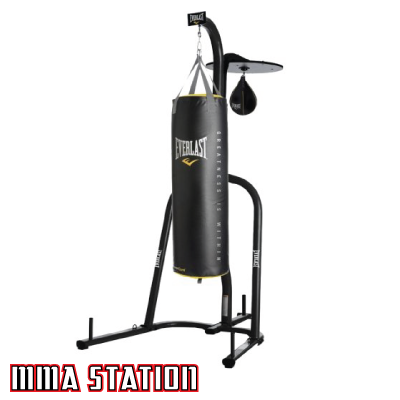 ​Summary: The Everlast Dual Station Stand is one of the few stands that is able to accommodate both a speed bag and a heavy bag – two of the most used pieces of equipment in boxing training. The stand itself is incredibly sturdy and manufactured using durable materials. In order to stop the stand from sliding along the floor, you’re able to attach weight plates to the bottom, which unfortunately are not included. Lets’ now take a look at the nitty gritty details of the dual bag station. 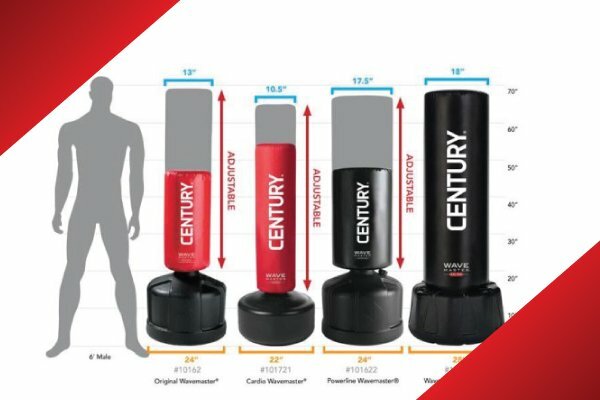 Before we begin, I just want to mention that the we've compiled a list of the heavy best heavy bag stands currently available. If the Everlast doesn't sound right for you, we've got some other options listed there for you to check out. 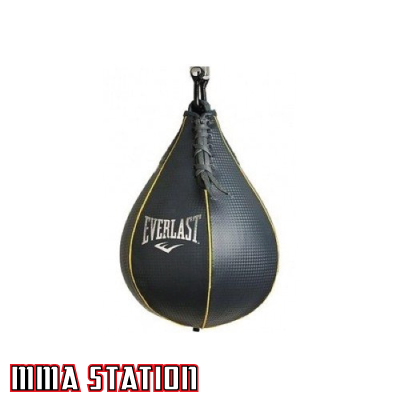 We’re going to kick off our review by taking a look at the design of the heavy bag station, which I must say, is pretty damn awesome and extremely practical. With that being said, I’m first going to mention my biggest complaint about the Everlast Dual Station Stand. At the bottom of the stand you’ll notice three pegs, which are designed to allow weight plates to be places around them. This weighs the stand down, preventing it from sliding around when you’re using it. The pegs work really well, however they don’t actually come with the stand and need to be bought separately. Why Everlast have done this I really don’t know, however it’s something you should be aware of before you make the purchase. Aside from this one complaint, the design itself is flawless and one of the most practical heavy bag stands around. Considering how many components there are to the Everlast Dual Station stand, it’s probably easier if I break it down and evaluate them one by one. Metal Frame: The metal frame used to construct the stand has a pretty nice aesthetic going on, with a simple black paint and some Everlast branding dotted around. The metal itself is hollow powder-coated steel, which is known to be pretty durable. Everlast PowerCore Heavy Bag: I love this heavy bag and it was actually featured on our list of the best heavy bags currently available. The bag is made using synthetic leather, which is fairly durable and much cheaper than genuine leather bags. The straps used to attach the bag to the chain are made using nylon with reinforced stitching. Everlast EverHide Speed Bag: This is another cracking bag made by Everlast and yet again was featured on our list of the best speed bags (see here). The speed bag is made using Everlasts’ own synthetic material, which unfortunately isn’t as durable as leather, but as I mentioned before, is significantly cheaper. 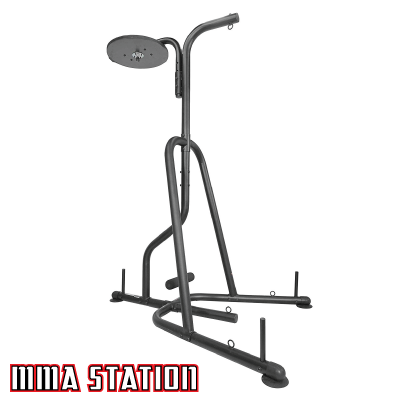 Speed Bag Platform: The speed bag platform featured on the Everast Dual Station features an adjustable height design. This allows for the platform to move up and down in order to accommodate for the users’ height. 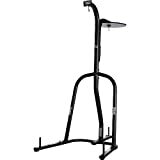 Some of the best speed bag platforms can cost upwards of $200, so it’s pretty awesome that this high quality platform comes built into the stand. The overall quality of the Everlast Dual Station Heavy Bag Stand is pretty good and is probably one of the best value for money heavy bag stands currently available. The steel metal tubing is incredibly durable and is the industry standard for such stands. When using both the heavy bag and the speed bag, the stand does sway ever so slightly, however that’s pretty much expected from any stand. In order to stop the stand from sliding across the floor, Everlast have also implemented rubber squares located underneath the three ‘feet’ of the stand. This paired with the weight pegs allow for the bag to stay perfectly in place as you work the bags. As I mentioned earlier, buying a speed bag platform and swivel can cost you a fair chunk of change. Fortunately, Everlast have combined an entire speed bag set up with a heavy bag stand, allowing you to cut a ton of costs. I would recommend checking out our article on the best speed bag swivels before you make a decision, as we cover a fair few different options. That being said, the speed bag is definitely usable, however if you’ve ever used a high quality bag and swivel, you could probably tell the difference. Don’t worry though, as you can buy the Everlast Dual station on its’ own, allowing you to install your own components of choice. If you’re a beginner though, stick with the bundle, as it will save you a fair amount of money and allow you to practice working the bag before you spend more money on a better swivel and maybe even a new bag. 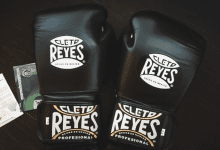 In terms of the heavy bag and speed bag, they’re made using synthetic leather, which has been specially created by Everlast for their products. It’s fairly well excepted that synthetic leather isn’t as durable as genuine leather, however as technology has advanced, the two are now pretty close in quality. Synthetic leather however is considerably cheaper than genuine leather, and in many peoples’ eyes, the slight loss of quality is worth the much cheaper price tag. Of course, you’ve also got the moral aspect, as not using animal products to create a punching bag is a common desire for buyers these days. Assembling the heavy bag station is actually fairly straight forward, with easy to follow instructions. In fact, I’m pretty sure I had this up and running in around 20-minutes, so it’s really no problem at all. Again, I’m going to voice my complaint about no weight plates coming with the set up. I didn’t realize this and was disappointed to find out I had to buy them separately. This meant I had to wait a few extra days for them to arrive before I could really open up on the bag. If like me, you bought the bundle, which includes the station, speed bag and heavy bag, you should be aware that they all ship separately. This means that it’s very unlikely they’ll arrive on the same day, however all three of the components came well within their specified delivery time. Ok, so there are a number of different bundles and buying options that I want to run past you. 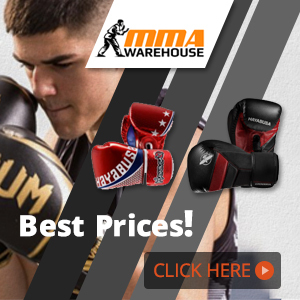 I opted for the bundle that included the 100lb heavy bag and the Everlast speed bag, however there are a couple of others worth knowing about. This is ideal for those of you who have no equipment at home and need to get everything in one go. This is suited for people like me, who have my own gloves and wraps, however don’t have a stand or either a speed bag or heavy bag. The PowerCore NEVATEAR 100 lb heavy bag is made of premium synthetic leather with reinforced webbing for lasting functionality. 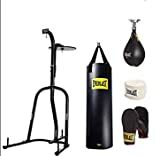 This is ideal for those of you who are just looking for a stand for their heavy bag and speed bag and already have their own gloves and wraps. One of the best aspects of the Everlast dual heavy bag station is it’s price, especially the bundle that I bought. To buy all of those components separately could easily cost north of $400, so we’re looking at half the price. As I’ve said before, this really is one of the best value for money heavy bag stands in the world. Plus, you get a 120-day warranty, so if something is to break, you can get your money back or a replacement sent out. Does the speed bag come filled? Yes, the speed bag comes inflated and ready to use out of the box. Simply attach the speed bag to the swivel and you’re good to go. Does the heavy bag come filled? Yes the heavy bag comes filled with a mixture of natural and synthetic fibre. To get the bag up and running, attach the nylon straps to the chain and the bag is ready for use. Is the speed bag height adjustable? Yes, the speed bag platform is adjustable. There are two knobs that can be twisted to allow the speed bag platform to be moved up and down. To get the bag at the correct height, attach the bag to the platform and adjust the height so the bottom of the bag is inline with your chin. How good is the speed bag swivel? This is potentially the most disappointing part of the whole set up. The ball is made out of plastic, which means it is no where as durable as metal ball and hook swivels. I would recommend upgrading the swivel if you can. If the Everlast Dual Station doesn’t take your fancy, perhaps the Titan model will. In terms of construction, the two are very similar, both making use of powder-coated steel tubes. However, where the Titan station has a slight edge of the Everlast version is in the speed bag swivel department. 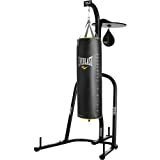 The speed bag swivel equipped to the Titan station features a metal chain-link design that tends to rebound better than the plastic ball & hoop design of the Everlast stand. Apart from that, the two are very similar, therefore I recommend going for what ever is the cheapest of the two. ​We've got a whole article on how to use a heavy bag, but to save you time, I'll quickly jot down a few pointers to set you on the right path. Keep your eyes forward - Don't get distracted and look elsewhere, nor focus your attention solely on where you are about to strike. 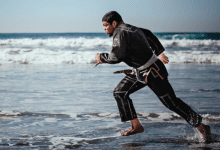 Both of these are bad habits, especially if you're planning on sparring or competing. 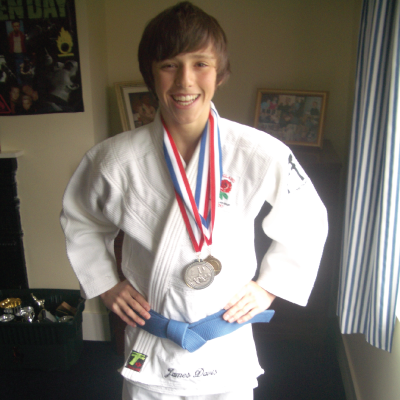 Use combinations - Don't just throw one punch at a time, mix up your strikes and throw different combinations. 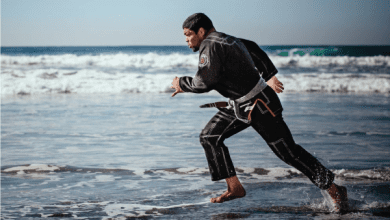 This makes for a better cardio work out and more accurately simulates sparring, where single punches are rarely thrown. Control your breathing - In order to work out for longer periods of time, it's important to keep an eye on our breathing. Make sure you're breathing out in short bursts when you throw a strike, and try not to 'huff and puff'. 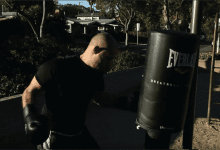 Keep your hands up - Don't let your hands fall when you're working out on a heavy bag. If you're throwing a strike, keep your other hand raised. Again, we've also got a full guide on how to use a speed bag, but I'll also write some pointers down below. Now close your hands into fists - Now you're going to throw two strikes with your right hand, then two strikes with your left hand. The first punch should be with your knuckles and the second should be in a downward motion with the side of your hand. Time to repeat - Now continue to repeat this combination until you've got it nailed down. 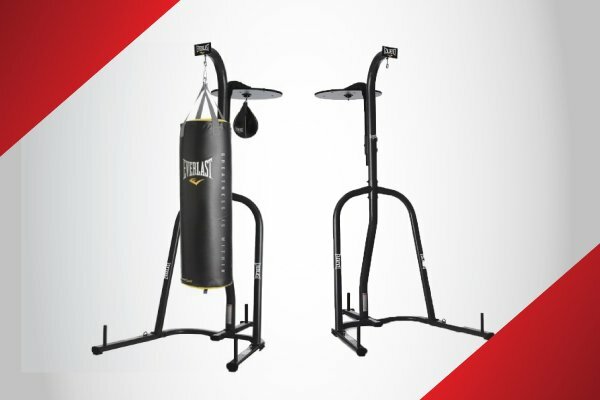 Do we recommend the Everlast Dual Station Heavy Bag Stand? While it isn't without a few minor draw backs, the overall quality of the stand paired with its' price point makes it one of the best there is. 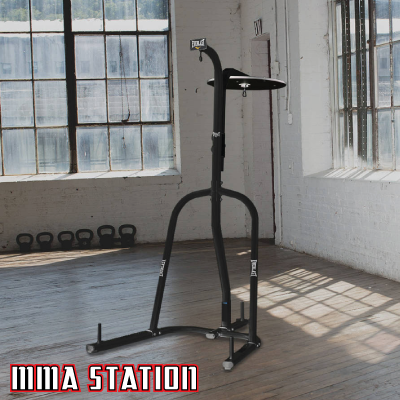 If you're looking for both a heavy bag stand and a speed bag platform, this won't let you down! Thanks for taking the time to read our review of the Everlast Dual Station Heavy Bag Stand. If you've got any thoughts or questions, please feel free to comment below.